Italian Virtual School offers the opportunity of taking cooking classes in Turin. Italian Virtual School is an online School of Italian located in Turin. The person that holds the classes is Silvia. She’s the founder of Italian Virtual School and an Italian teacher. She’s from Rome, that’s why the Menu here below has some typical dishes from Rome. The context is informal. The purpose is enjoying your time combining the interest for the italian food with that for the Italian culture and language. If you have children, we can arrange something specifically designed for them. When it is possible, according to the season, you can combine one of these dishes with the Carciofi alla Romana. The cooking classes last about 3 hours. Two hours are for preparing food, the third one is for eating what we prepared together. A bottle of wine and a cheese testing is always included. The Price is 70 € if you are 1 person, 100 € if you are 2 people. The Cooking Classes in Turin are mainly held during the weekends on Saturday afternoon or on Sunday. 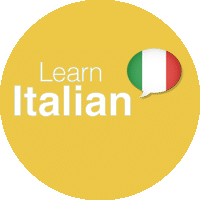 The Cooking Classes are in Italian or in English. 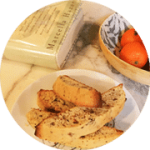 During the class it is possible to focus on the Italian words and expressions related to the cooking context. 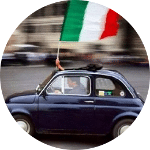 Also, because we are an Online School of Italian, after your jouney in Turin, you can take an Online Course of Italian by Skype. You can benefit of a 10% discount on the price of the Course and a Free Trial Class is always available.